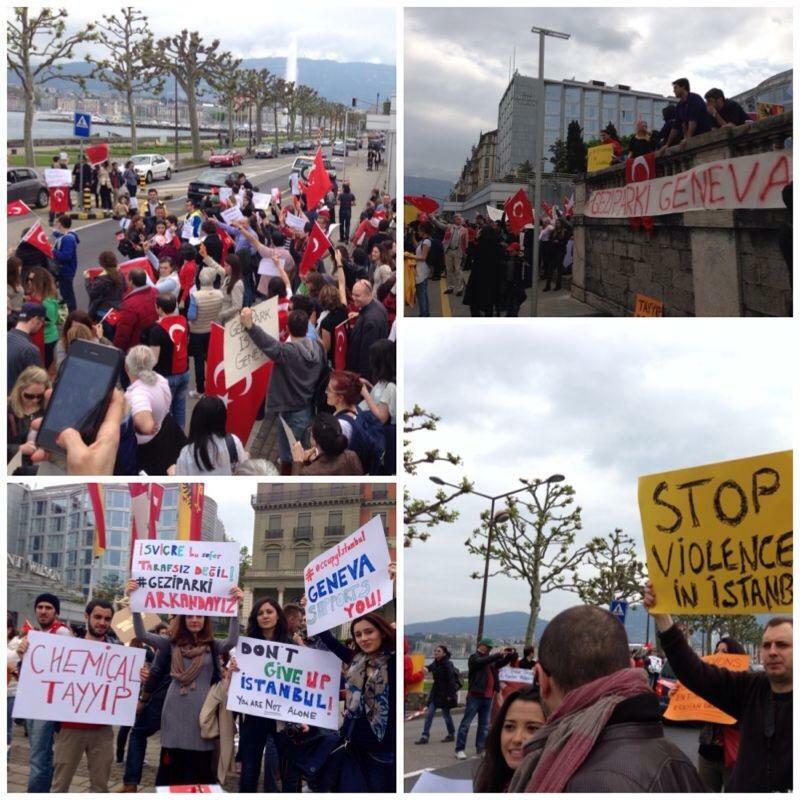 On the 1st of June, around 80 people gathered in front of the Palais Wilson in order to support the protests in Turkey. During the demonstration, in which people of all ages participated, declarations were read in Turkish and French. 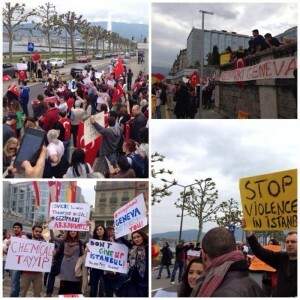 This entry was posted in Worldwide protests and tagged geneva, switzerland, worldwide protests on 1 June 2013 .